“Tokyo: Capital of Cool” is a travel book published last year by Tuttle which focuses on one of the most famous and well-known parts of Japan – the city of Tokyo. Since there are probably hundreds of books out there which provide travel information about Tokyo, a book has to be pretty unique in some way in order to stand out among the crowd. This work eschews the trend to make smaller guide books packed with information and instead devotes at least half of it’s space to a wide array of stunning photographs of Tokyo, using a larger form factor similar to art books. A majority of the pictures were taken from stock photo and other similar sources, with only a few actually taken by the author. However that isn’t a problem because the author’s real expertise lies in his writing, and he has done a great job in selecting photos that really show you many unique and beautiful scenes from Tokyo. I only found a few very minor problems with the visual aspects of this book, including one or two pictures which I felt were over-edited, and a few places where the layout was a bit awkward. For example, some photographs straddled the centerline only an inch or so which was a distraction. I wish the author would have either made those either larger to avoid ending near the center, or shorter to fit on a single page. Let’s be honest, finding great photographs of Japan is relatively easy via a quick Foogle search or by perusing through a photo site such as Flickr. 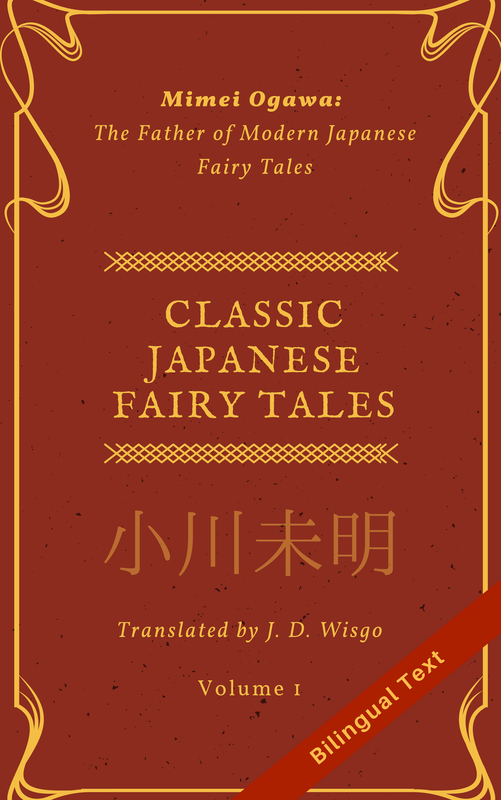 Fortunately, the descriptions of the various areas of Tokyo are extremely well written, and include a nice mix of history and modern culture to satisfy nearly any reader. Goss’s prose is quite polished even to the point where I would like to study it to improve my own writing and translation, however I do feel on occasion his sentences do get a bit long and in rare cases I had to re-read a sentence from the beginning to make sure I understood completely. But I think your opinion on his sentence complexity will depend on what types of stuff you typically read. In any case, if you just want to relax you can just skim the text as needed and focus on the pictures. One other thing I liked about this book is that it doesn’t attempt to teach you any Japanese apart from telling you place names and other necessary travel information. Some books try to interject random Japanese phrases, or have an index in the back with helpful words, and while I am not strictly against that I have seen places where there are errors since the author isn’t completely fluent or has just gotten loose on editing that part. I am not sure of Rob Goss’s Japanese abilities (I’d imagine he is fluent), but he’s kept this book focused on only one thing – Tokyo and what’s so cool about it. In terms of content, the book covers many of the basics you would expect like Omotesando and Shibuya, as well as some places in the surroundings of Tokyo like Nikko. Though by no means I would call it a comprehensive coverage, I think the set of locations chosen fits the book’s theme well. I’m not sure what the author has planned, but making a follow up book in the same style that showcases some of the less known parts of Tokyo could be an interesting idea as well. “Tokyo: Capital of Cool” is a great introduction to Tokyo for those who want to learn more about this amazing city, or even enjoyable for those like me who have been to Japan several times. The only real drawback of this book is the cost involved. No, I don’t mean the price of the book itself (that’s a reasonable $10-$13 at the time of this article), but rather the cost of trip to Japan that is bound to happen after reading it and becoming enamored (even more) in Japan’s diverse and interesting culture. You can find it on Barnes & Noble and Amazon. There is both a hardcover edition (what I read) as well as several E-book editions (Nook, Amazon, etc. ).